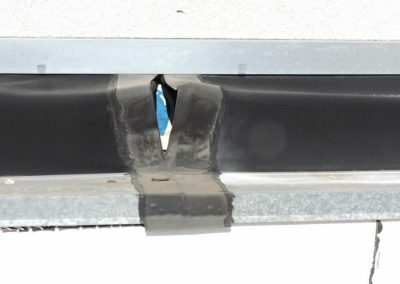 I was invited to perform some preliminary expansion joint inspections at a retail center in Southern California. 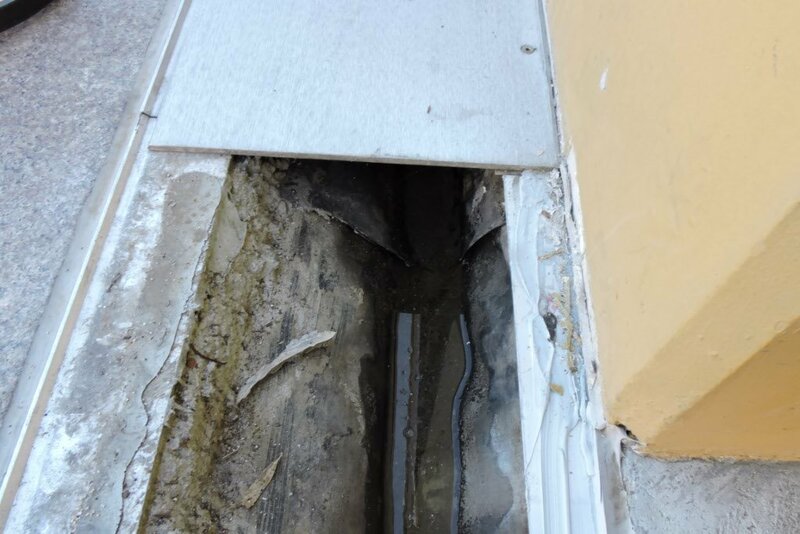 We had had a few early rains and there were some obvious leaks into the structure that were causing havoc to the tenants and facility managers. 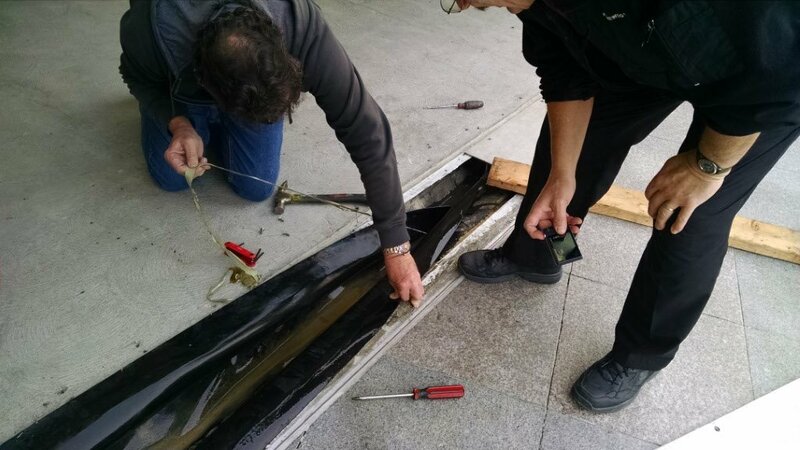 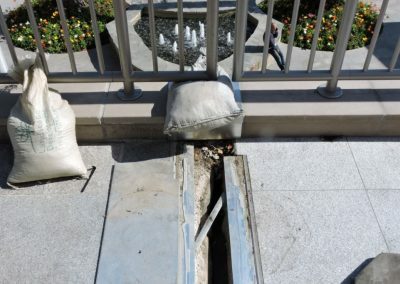 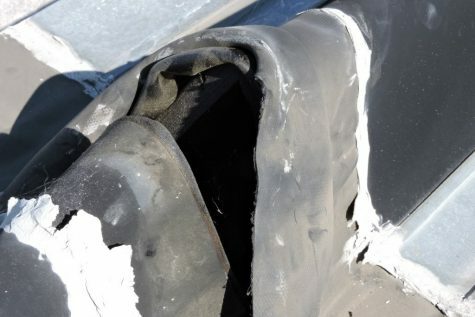 Seismic Expansion Joint Covers will eventually leak. 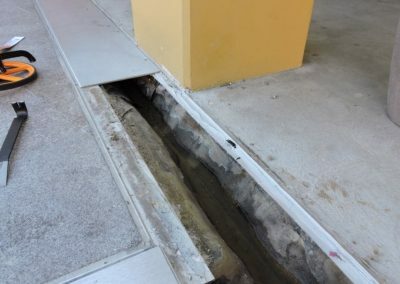 In fact even the best of the very best so called “waterproofing” expansion joints will often breakdown over time and allow water to penetrate a building space. 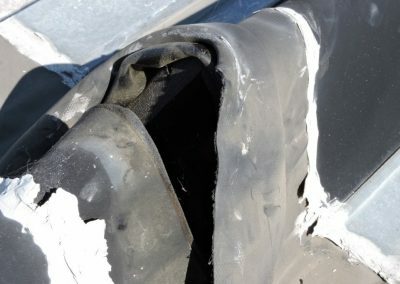 Finding the source of these failures can be tricky especially because in most cases the expansion joint cover is hiding the moisture barrier and tie-in’s below the joint, and without a proper maintenance program points of failure can occur across many locations including transitions, drain tubes and as with this particular project, high up on the roof. 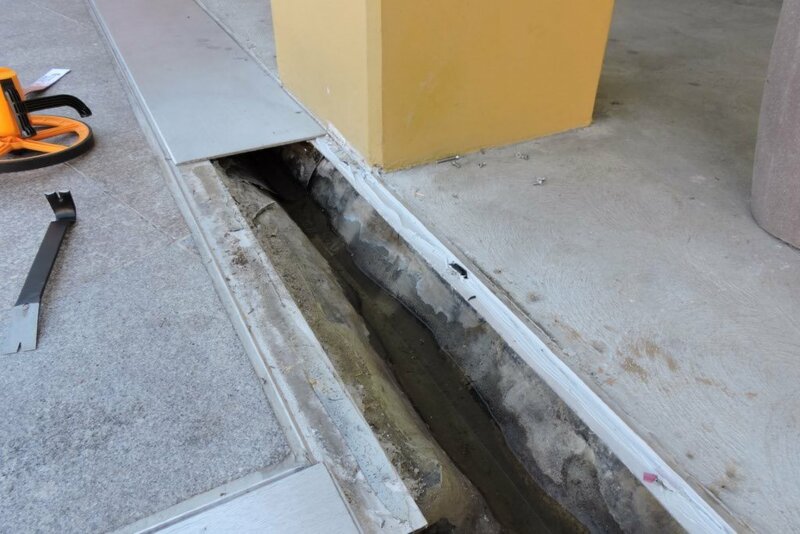 On this one occasion, we walked several areas of the mall including upper walkways, planter boxes, ground floor interior spaces and surrounding mall to parking structure connectors and back of house service corridors. 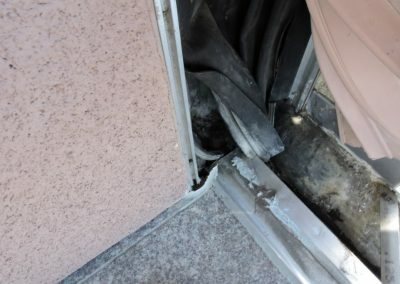 During the tour I was shown drain tubes that appeared too small or were missing, trash cans that were over flowing with water, drips coming out of the overhead fire blankets and many other conditions that would indicate they had extremely serious problems. 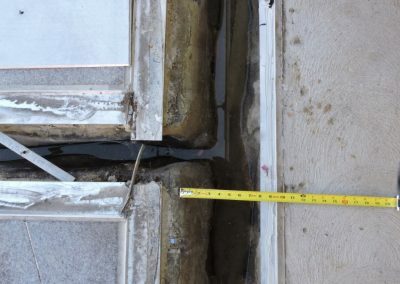 My first recommendation in these situations is always to ask if they talked to a waterproofing consultant and engineer and if they have not I recommend that they do so. 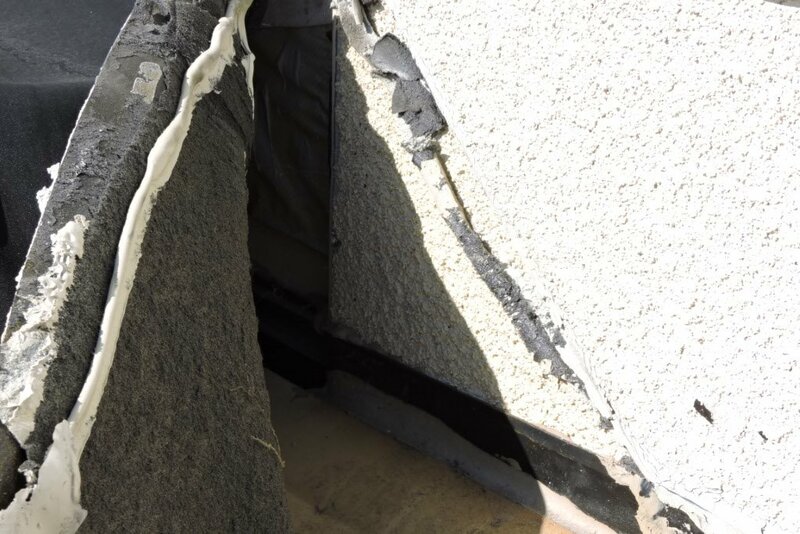 A professional consultant will be able to asses the entire building envelope and determine if more than just the expansion joints are responsible for the leaks. 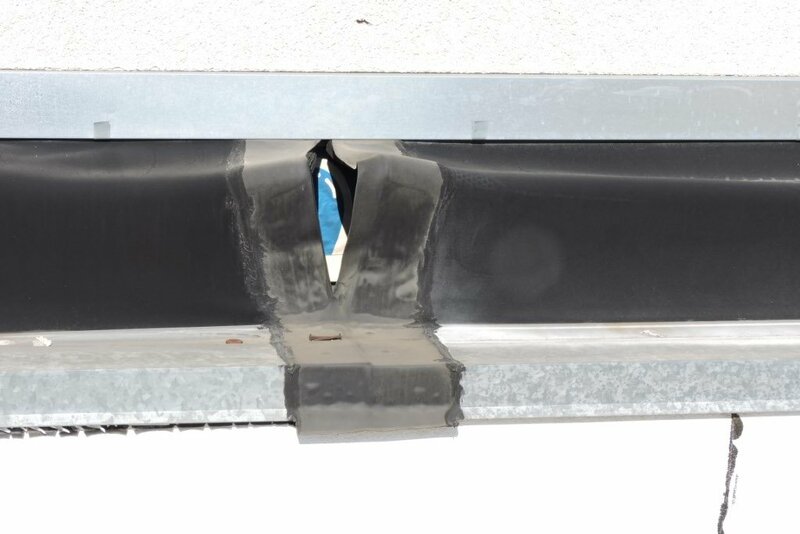 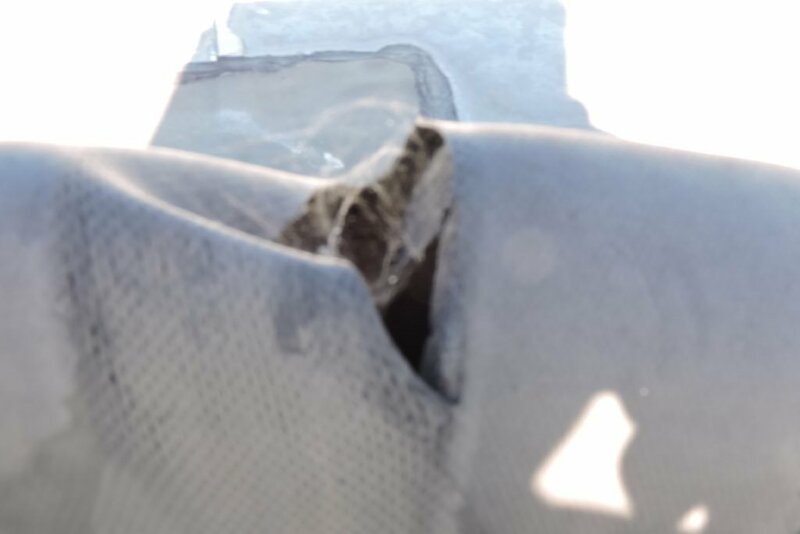 On my second visit to the site we decided to remove several of the cover plates to inspect the condition of the waterproofing membranes below the joint covers and found that they were installed questionably. 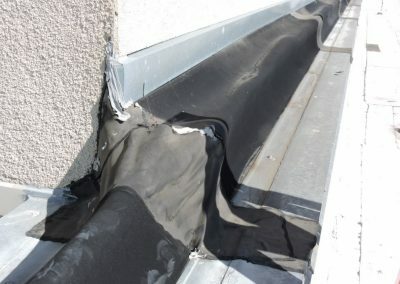 We also looked behind some of the wall covers to see how they were installed and for the most part did not see anything that seemed out of line. 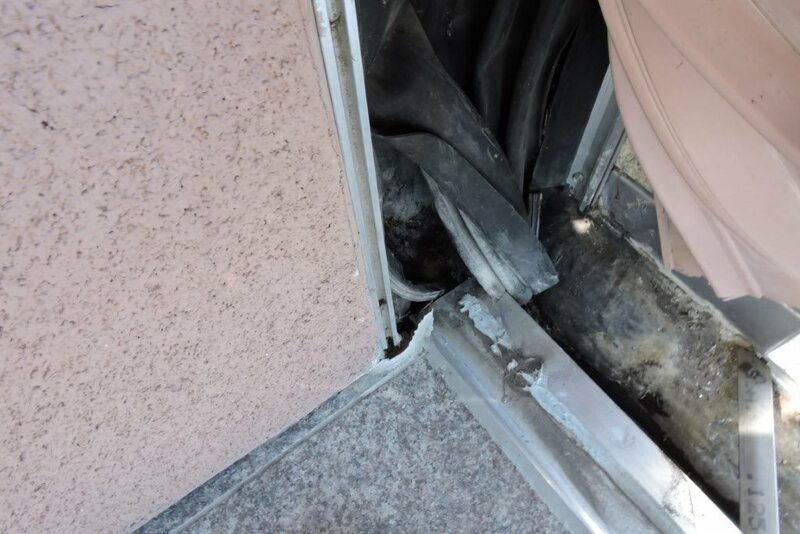 In all we spent several hours lifting and inspecting plates, visually inspecting drain tubes and screens, pulling up general sheet metal plates and covers and tried to uncover the cause of the major leaks. 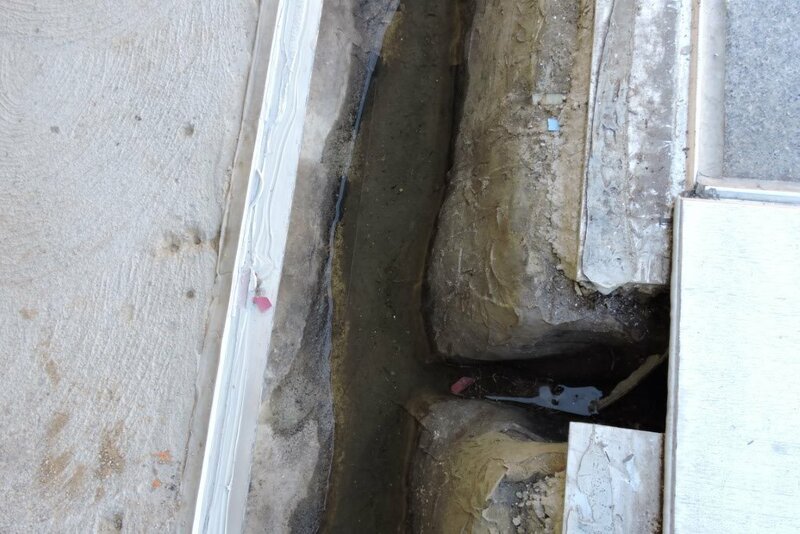 I was mystified because I was not seeing enough evidence of failing gutters or conditions that would be the cause of so much water intrusion. 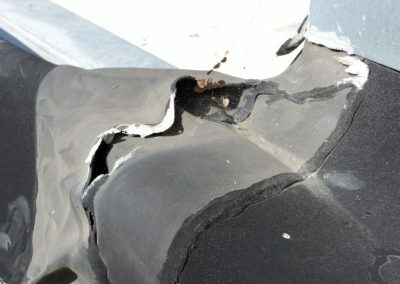 Aged Roof Bellow needing serious repairs and replacement. 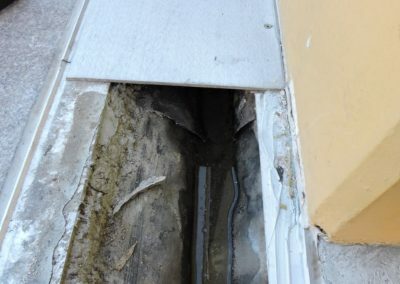 Nearly at my wits end I asked if I could have permission to access to the roof. 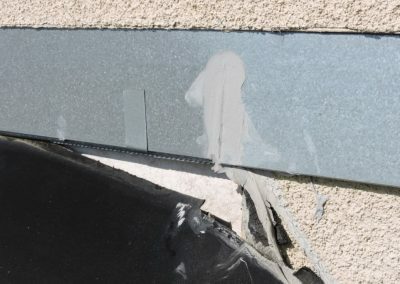 The group I was working with looked at me kind of oddly but pointed to a 30 ft high vertical ladder and an interior roof hatch which I proceeded to climb solo. 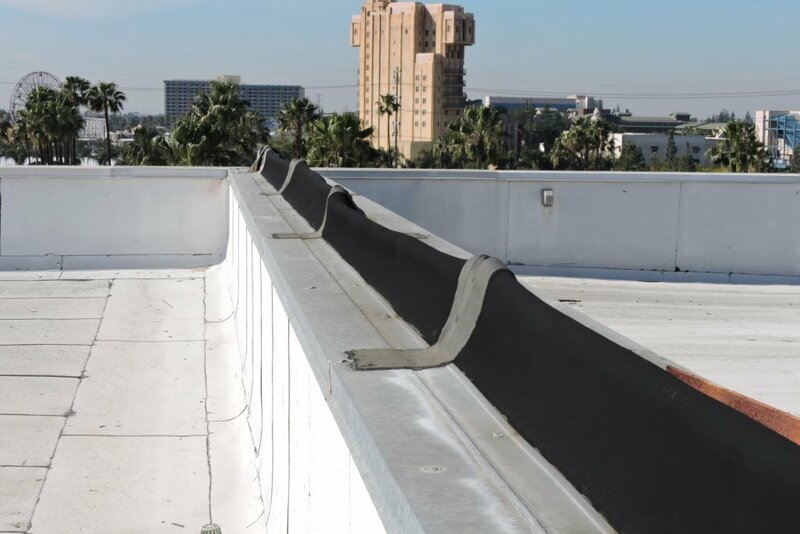 It took a few minutes to get up the first ladder and another few minutes to climb the series of exterior ladders that took me high above the shopping mall. 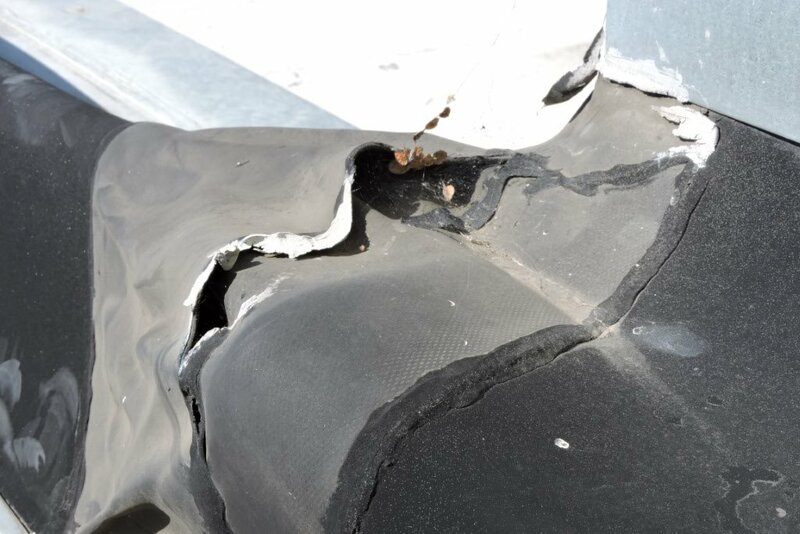 Once I finished my nail biting climb I walked onto the upper roof and quickly spotted a 150 ft run of roof bellows. 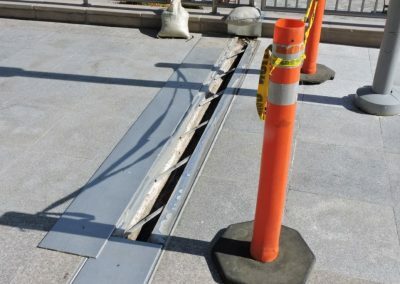 As an expansion joint specialist and one who gets excited over these things I nearly tripped over myself trying to get over to where the joints was located. 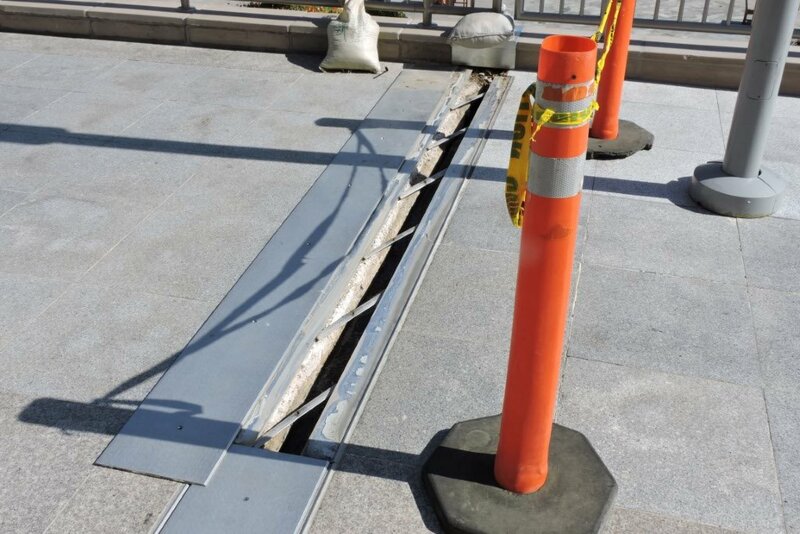 Expansion Joint running across the entire roof with gaping holes every 10 feet. locations plus the end conditions and a few outside and inside corners – each of which had a full on separation. 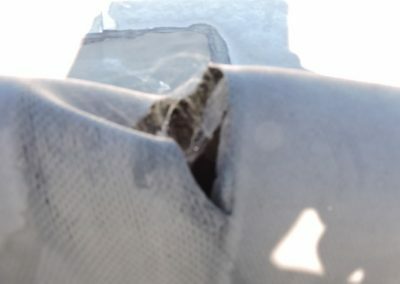 I realized I found the real failure points and the cause of the most serious leaks. 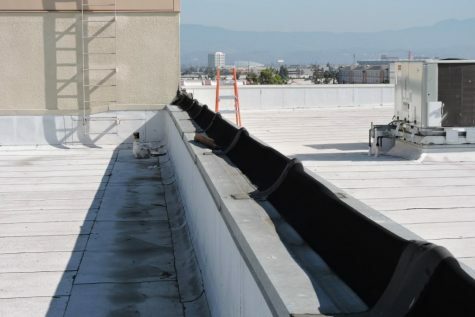 As we approach what may as well be one of the most serious El Nino conditions we have seen, now is the best time to inspect not only your roofs but also your expansion joints and seals. 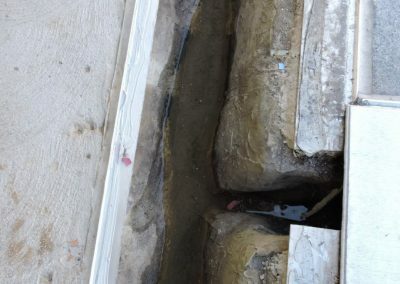 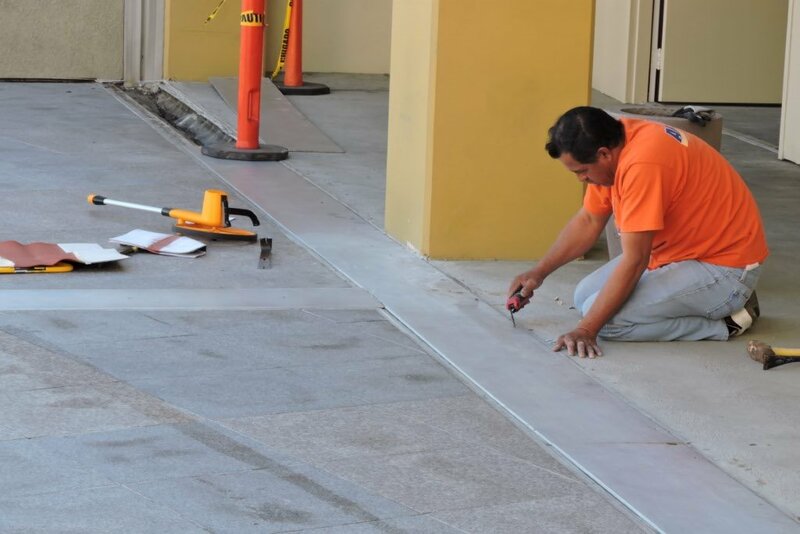 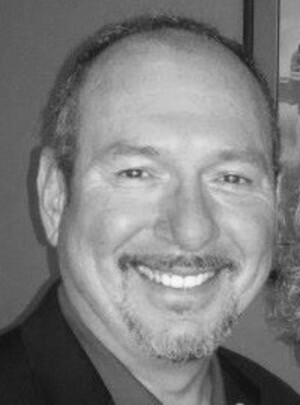 With so many different type of expansion materials and conditions it would benefit you to bring in an expansion joint specialist who can help you coordinate an inspection of your cover plates and the waterproofing and recommend local waterproofing consultants who understand the surrounding areas and tie ins. 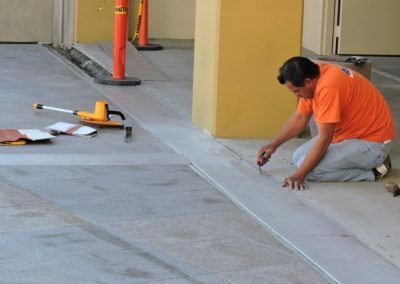 No two building structures are alike and when it comes to expansion joints there are numerous variables to consider. 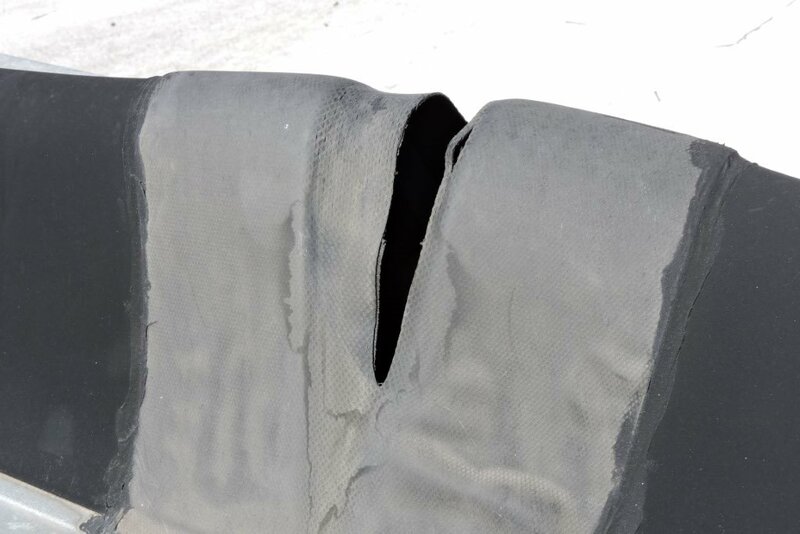 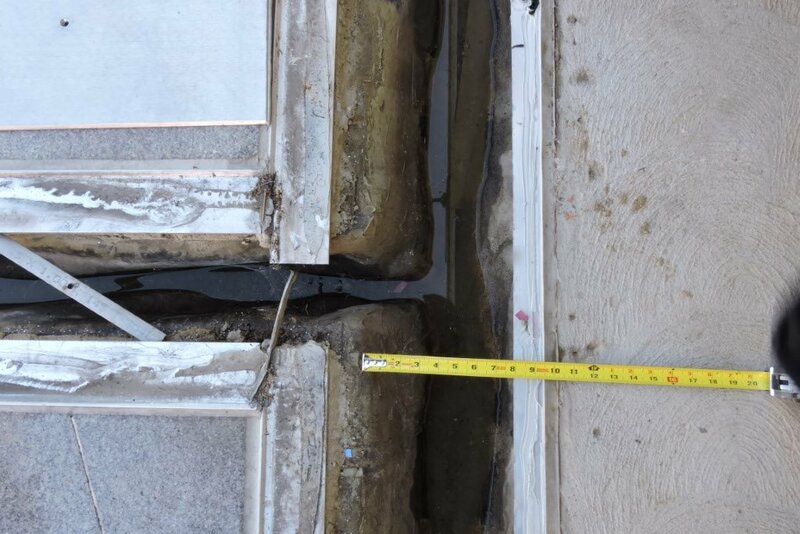 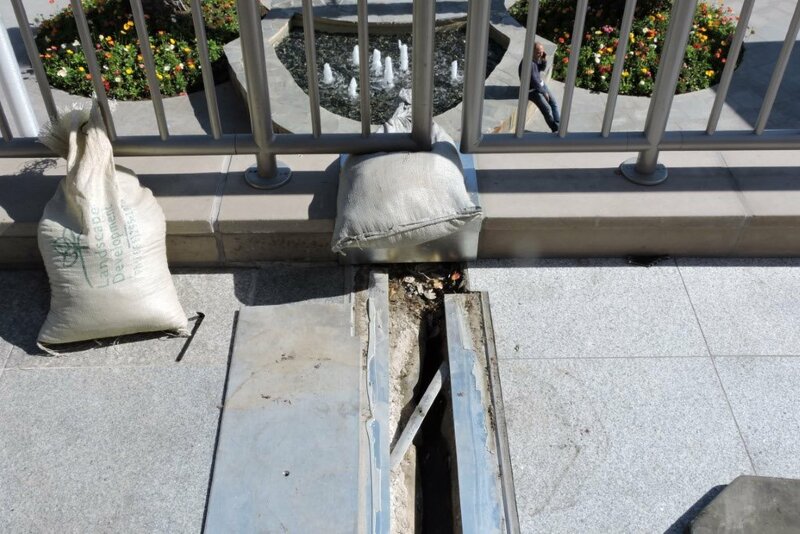 Limit your risk before and after the storm by working with an expansion joint team that can help you uncover the cause of the failure and recommend the best way to remediate the problem area so it does not happen again.